Wolf Commercial Real Estate, the foremost Cherry Hill commercial real estate brokerage firm that specializes in Cherry Hill commercial real estate listings and services, is now offering a highly visible Cherry Hill professional office building for sale at 498 North Kings Highway Cherry Hill NJ. This Cherry Hill office building for sale provides the ideal opportunity for a professional user looking for a professional office building in a highly desirable community. There are 21,500 square feet of office space on two floors of this professional office building in Cherry Hill at 498 North Kings Highway Cherry Hill NJ. This Cherry Hill office space for sale features 10,000 square feet of professional office space in Cherry Hill on the first floor and 11,500 square feet on the second floor. This professional office building in Cherry Hill is priced to sell with an asking sale price of $1.1 million. This Cherry Hill office building for sale is available for immediate occupancy through Wolf Commercial Real Estate, a Cherry Hill commercial real estate broker that specializes in Cherry Hill commercial real estate listings and services. Building and monument signage are available at this professional office space in Cherry Hill. 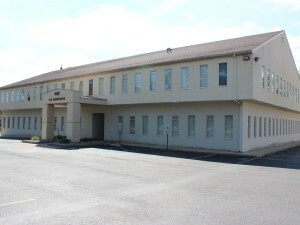 There’s also ample parking at this Cherry Hill office space for sale with a ratio of 4.5/1,000 sf. Located on a 1.2-acre lot, this modern two-story Cherry Hill office building for sale at 498 North Kings Highway Cherry Hill NJ is fully air-conditioned and is elevator served. A daily average of more than 26,000 vehicles drive through the intersection of North Kings Highway and Greensward Lane near this professional office building in Cherry Hill. This Cherry Hill professional office building for sale is available through Wolf Commercial Real Estate, a Cherry Hill commercial real estate brokerage firm with expertise in Cherry Hill commercial real estate listings. The Cherry Hill Mall, Garden State Shopping Center and Garden State Pavilions are easily accessible from this Cherry Hill office space for sale. In addition, this professional office space in Cherry Hill is in close proximity to the Moorestown Mall, East Gate Square and numerous banks, restaurants and medical and retail facilities. There are more than 261,000 residents living within a five-mile radius of this professional office building in Cherry Hill. The average household income within this same radius is $94,328. For more information about this Cherry Hill office space for sale at 498 North Kings Highway Cherry Hill NJ or about any other Cherry Hill commercial properties for sale or lease, please contact Jason Wolf (856-857-6301; jason.wolf@wolfcre.com) or Leor Hemo (856-857-6302; leor.hemo@wolfcre.com) at Wolf Commercial Real Estate, a Cherry Hill commercial real estate broker that specializes in Cherry Hill commercial real estate listings and services.